Green Packaging has just arrived. 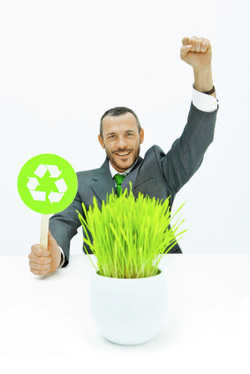 Teamwork Packaging is proud to provide eco-friendly packaging as an alternative for companies wishing to go green. Our different levels of green packaging comfortably accommodate individual needs. At the most basic level, we use recycled packaging material for many of our projects. Recycled paper and cardboard are at the core of many packaging products. We can use packaging material that has been recycled at different levels to make a strong statement about your product to consumers. A more serious solution entails a no-frills packaging solution. Cut down on waste by simplifying your product's packaging to the bare essentials. We can manufacture several different displays that take advantage of "natural" packaging and showcase your product with a bold statement. Make your product stand apart from the rest by being innovative, creative and different. The ideal eco-friendly packaging solution is to work with manufacturers that supply renewable resources to conserve the natural environment. Make a strong impression on your customers by working with people who share and implement your values within the packaging industry.